Being one of only two pens I have that has a rating of five it is strange to see this pen in use without it being inked it up with a devil’s concoction from Noodler’s, or some sparkly ink from J.Herbin. I have been lucky that none the weird inks have stained it to any real extent. This lovely little broad nib has been in my collection for a year and day. I bought this nib as a spare with the view to using it in my M205 Toledo Red. It is not the most exciting nib, but it does start every time and produces a nice wet line. I am going to see a lot of these lovely little 40ml Kyo No Oto bottles over the next few weeks because I recently completed the current set of these inks by buying the last eight bottles. Kokeiro means moss colour in Japanese, moss where I live is greener than this, but it certainly is a lovely shade. 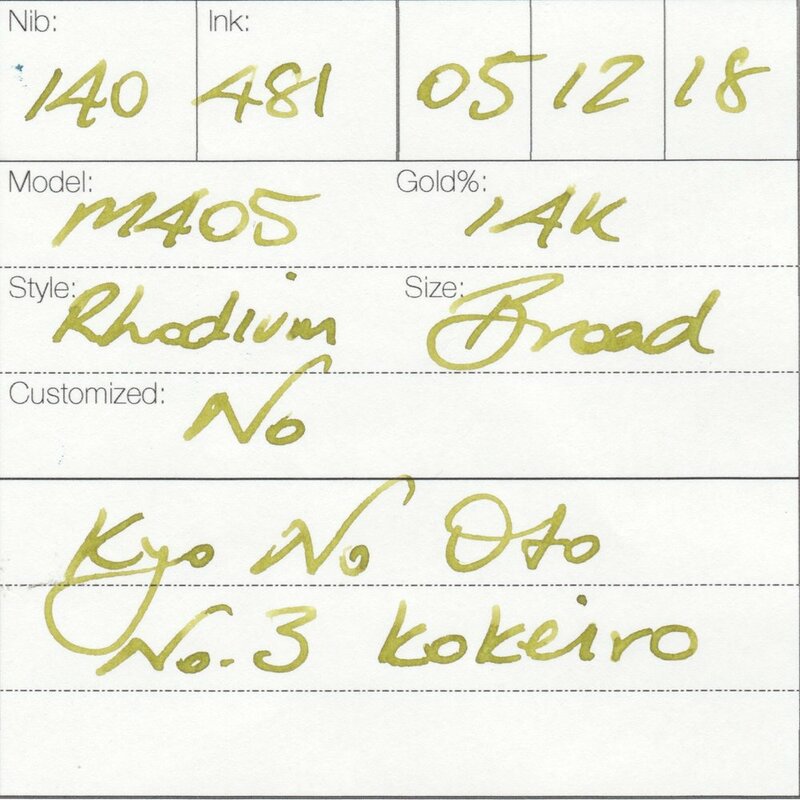 It reminds me of Diamine Wagner and Robert Oster Signature Gold Antiqua; both I think are more golden and less green. 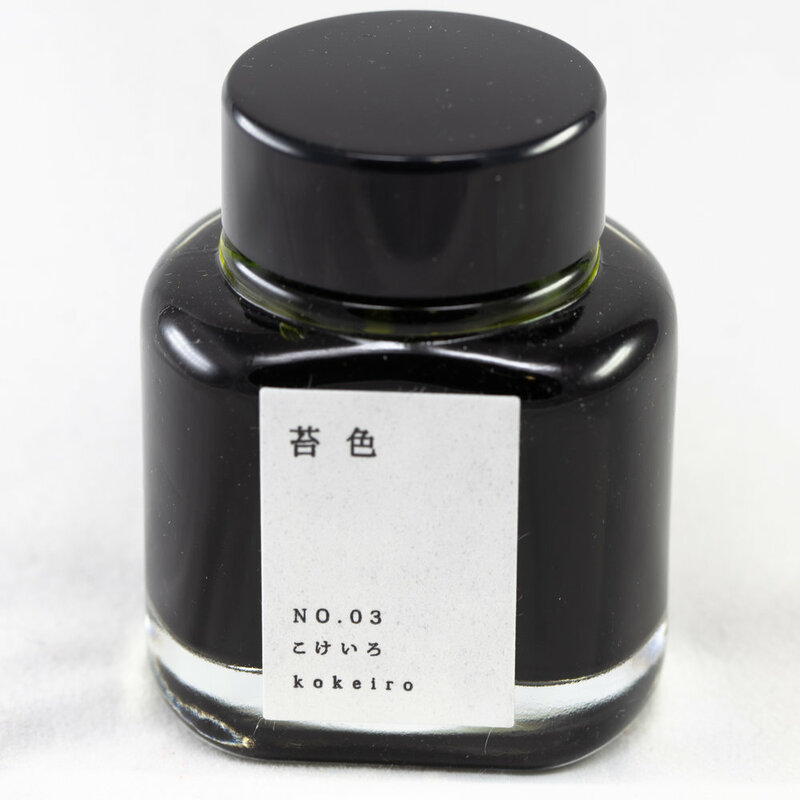 This ink shades up a storm from this broad nib, but fails to show any sheen.